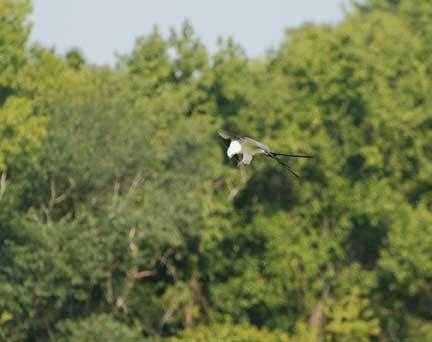 Beloved for their dazzling acrobatic displays, swallow-tailed kites have been the subject of nearly thirty years of research in South Carolina. 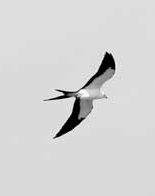 Your first view of a swallow-tailed kite is one of those memorable experiences that ranks high on the list of any wildlife enthusiast. For me, it has been more years than I like to remember, but, as with any dutiful naturalist, I wrote down the date, location, and even the time: 4:05 p.m., May 20, 1966. There were three of them, flying low over a field behind Freeman's Grocery - long since gone, but at that time located on S.C. Highway 17 near Awendaw. 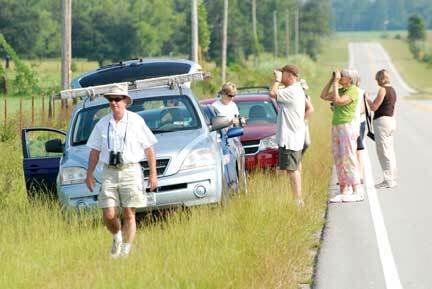 I was with my birding buddy, Heyward Douglass, and we jumped up on the hood of his '54 Plymouth station wagon to catch a last glimpse of the birds disappearing over the tree line, heading northeast towards the Francis Marion National Forest. One of the most spectacular birds of prey in the world, the swallowtail's appearance is so distinctive that even the most casual observer would be unlikely to confuse it with anything else. Instead of the browns, grays and other earth-tone colors of your typical bird of prey, the swallowtail's black back, tail and outer wings set against a white head and underside makes for a striking appearance. And the bird's shape is as unique as its coloration, its round head set off by a slender, four-foot wingspan and those remarkable, scissors-like tail feathers. Those tail feathers serve as a rudder to steer the bird during its long periods of effortless flight, a flight so graceful and airy the birds have been likened to nature's sailplanes. Swallowtails exhibit some of the strongest migratory behavior of any raptor, traveling nearly ten thousand miles a year between their breeding grounds in the southeastern United States and their wintering grounds in southwestern Brazil. Their restricted distribution and uncommon numbers further enhance their star status. At the turn of the last century, swallowtails nested in about twenty-one states - as far north as Minnesota and west to eastern Nebraska. But beginning in the early 1900s, the birds began a precipitous decline throughout much of their U.S. breeding range. By the 1940s, they were only known to occur in six, possibly seven, Southern states. Today, that distribution has changed little. Only about 5,000 birds are estimated to occur in the United States - mostly in Florida, but also Georgia, South Carolina, Louisiana, Mississippi, Alabama, eastern Texas and possibly southeastern North Carolina. Swallowtails were first listed as an endangered species in South Carolina by the S.C. Department of Natural Resources in 1976. At that time, estimates were that only about a hundred breeding pairs were nesting in the state. Despite the bird's widespread appeal, little was known about its basic biology. Early in my DNR career, I had the opportunity to begin a study of swallowtails and contribute something to our understanding of their ecological needs. 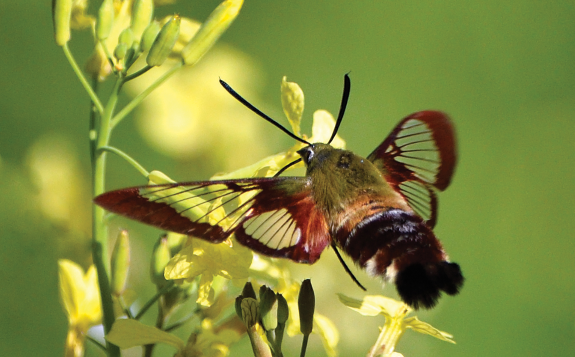 At the time, radio telemetry was revolutionizing wildlife research, and transmitters had gotten small enough to be attached to an animal the size of a swallowtail, which, despite its four-foot wingspan, only weighs about a pound. My DNR colleague Jim Sorrow and I were breaking new ground, as an adult swallowtail had never been captured, much less fitted with a radio transmitter. We eventually settled for a capture method based on an old falconer's trick called the dho-gaza, basically a tethered great horned owl set up near a kite nest with a back stop of very fine netting that catches the bird when it dives after the owl. 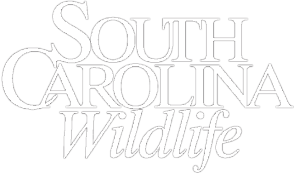 The technique worked, and in the summer of 1983 we were able to capture and radio three adult swallowtails in the Francis Marion National Forest. We attached the tiny transmitters, weighing only a fifth of an ounce, with super glue and thread to the quill of the outside tail feather. It was an exhilarating experience being able to track the movements and habitat use of this extraordinary bird of prey for the first time ever. From dawn to dusk we took "fixes" of each bird's location every ten minutes. The kites lived up to their reputation as supreme aerialists, staying on the wing for much of the day. Two people were required to take simultaneous bearings in order to determine the bird's location. It shouldn't have been a surprise that swallowtails turned out to have large home ranges of as much as 90,000 acres, approximately 30 percent of the 259,000-acre forest. It was also no big surprise that the kites favored wetlands of hardwood and mixed pine-hardwood, which supported their preferred foods such as green anoles, rough green snakes and dragonflies. But one interesting finding that we didn't already suspect was that the birds made almost daily feeding forays from their nesting territories in the national forest into the Santee Delta, as far as fifteen miles away for at least one of the birds. These long-distance feeding flights began at almost the same time each morning - around 10:30 - and the birds would return to their nesting territories about two hours later. The area of the Santee Delta used by the kites was mostly brackish-to-freshwater marsh, and the birds were travelling there to feed on flying insects. We continued our telemetry research in 1984, capturing three more adults. Unlike today's more advanced models, that have a battery life of two or three years, our radios were good for only three or four months. We were able to determine that swallowtails depart South Carolina pretty early - in mid-to-late August - for their tropical wintering grounds, but at this point no one knew exactly where that was. 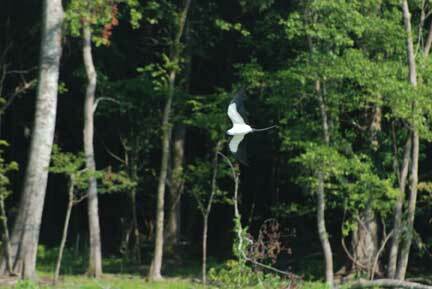 In 1989, Hurricane Hugo's category 4 winds decimated the tall pines in the Francis Marion favored by the birds as nesting sites, and some of the kites abandoned their long-held breeding territories. Perhaps not coincidentally, in the early 1990s we began to receive reports of kite nesting activity along the Great Pee Dee River south of Conway. Also in the 1980s, avian biologist Dr. Ken Meyer started conducting swallowtail research in Florida, the stronghold of the U.S. population. Meyer pioneered the use of satellite transmitters for kites, which don't require someone to constantly locate the birds from the ground. Satellite transmitters also don't have the range limitations of a typical VHF transmitter, and in 1996, Meyer and his assistant, Audrey Washburn, had an eureka moment few scientists ever experience when their satellite transmitters at last revealed the secret location of the swallow-tailed kite's wintering grounds - an area of large ranches and pasture land in southwestern Brazil. The birds were even more social at this time of year (actually summertime in Brazil), and in the evening would congregate into large roosts in the sparse trees that dotted the rangeland. I was able to visit this area in 1997, and we counted seven hundred kites in one tree, more than the entire South Carolina population. By now, the battery life of conventional VHF wildlife radios had increased from a few months to two years or more. Working closely with The Center for Birds of Prey in Awendaw, DNR biologists became part of a region-wide swallowtail radio tracking program that included Florida, Georgia and Louisiana. Between 1998 and 2004 we discovered 129 swallowtail nests in coastal South Carolina. 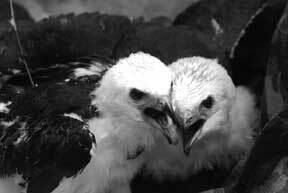 We radioed fifty-nine kites during this period, most of which were nestlings. 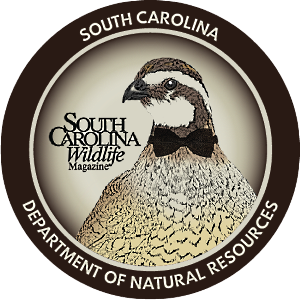 In addition to those birds in the Francis Marion National Forest, we found concentrations of kites nesting along the Great Pee Dee and Waccamaw rivers; the lower Black River and its tributaries; the lower Edisto River area; and the lower Savannah River. Kite biologist Andy Day and I estimated a statewide population of between 120 and 170 nesting pairs, most of which were on private lands. Our telemetry data showed that there was a fair amount of movement between populations in South Carolina, at least among sub-adult non-breeders (swallowtails probably don't start breeding until their third or fourth year). Movements could take place in a hurry, if need be, with one bird travelling more than eighty miles in a single day. Kite research and survey work continue today. The DNR is part of a statewide working group of governmental agencies and conservation organizations coordinating kite research. Maria Whitehead of The Nature Conservancy conducts early morning flights to document kite roosting areas, work that holds promise as a census tool. And biologist Andy Day continues with his work locating nests and conducting radio telemetry research. The Center for Birds of Prey is involved with a citizen-science project where the public can submit swallowtail sightings using their website: www.thecenterforbirdsofprey.org. The current network of kite researchers working within and across state lines has become a model for other wildlife recovery efforts, and along with support from citizen-scientists and the general public, bodes well for the bird's future in South Carolina. Swallowtails have shown a surprising amount of adaptability in a changing landscape, as long as their basic need for large tracts of forested wetlands is met. 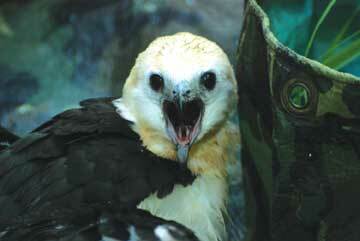 In some ways, the swallow-tailed kite population crash of the early 20th century was a preview of the collapse of bald eagle and peregrine falcon populations 50 years later. The latter two species have made a well-known and remarkable comeback. Swallowtail numbers have not shown a similar recovery, but they do seem to be holding steady, and in South Carolina at least, the evidence indicates that the birds are gradually reoccupying some of their historic breeding range. 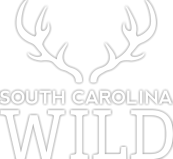 John Cely is a retired DNR biologist who now works with the Congaree Land Trust, helping private landowners preserve land through the use of conservation easements.